There's always some fantastic custom artwork available from talented artists all around the internet. 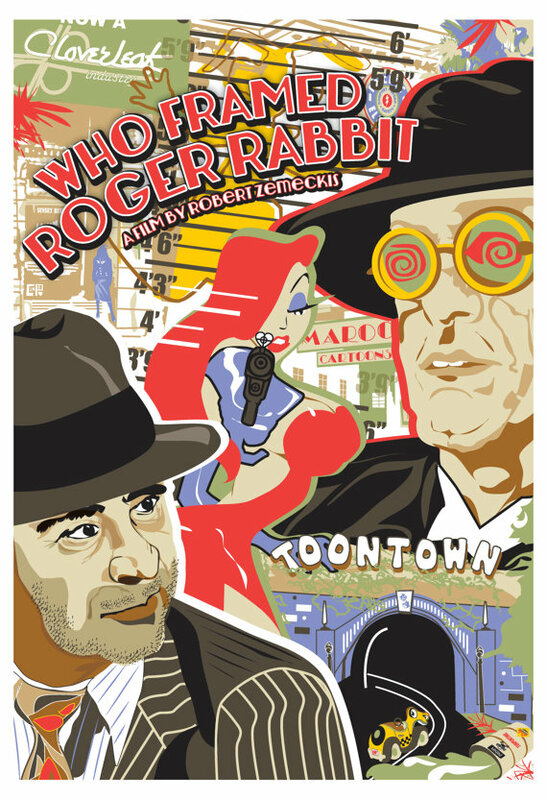 Check out this Who Framed Roger Rabbit inspired movie poster titled The Whole Thing's a Set Up by Chelsea Patterson at Cutestreak Designs and now available through Etsy. The colors are popping, the designs are zany, and the whole thing is toony! It features the sinister Judge Doom, a gun-wielding Jessica Rabbit, detective Eddie Valiant and a slew of other little movie details. Head on over to Cutestreak Designs to take a look at more colorful artwork available.